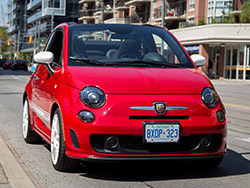 In 2010, Fiat launched the Fiat 500 and it was hit or miss among consumers. 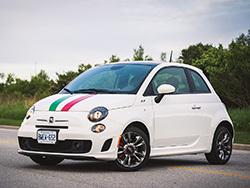 The 500 Abarth was the one to get if you wanted a sporty car from the affordable Italian automaker, but it lacked everyday usability due to its small size and inadequate cargo capacity. 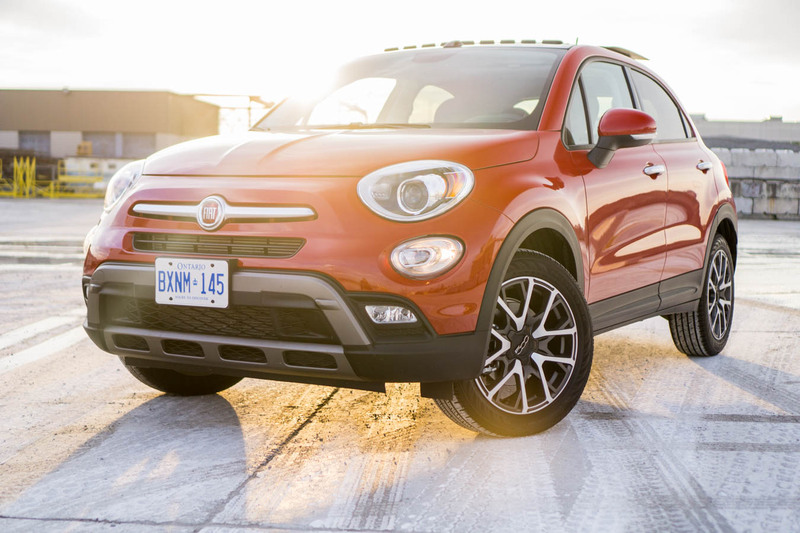 We were then given introduction to the 500L, which was much bigger than the original 500 but as a result, lost the sportiness factor. 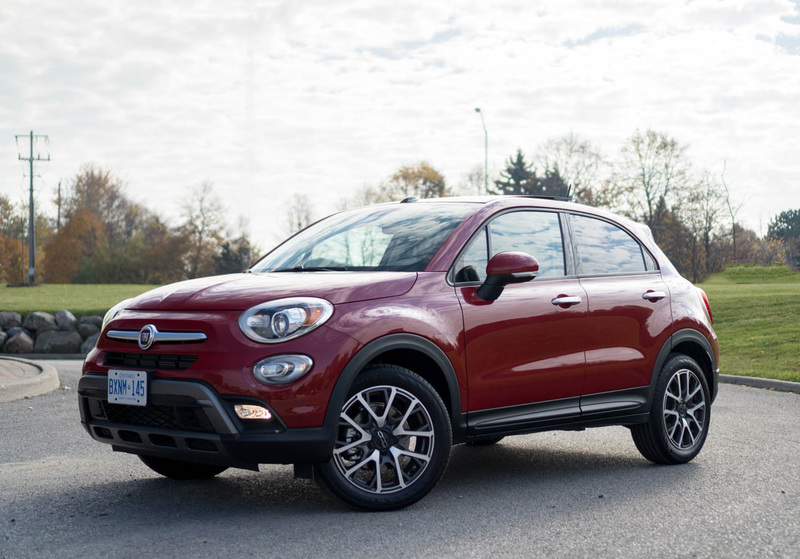 Fast forward to 2015 and Fiat has claimed to have finally found a happy medium: a mini-SUV that hopes to be both sporty and practical. 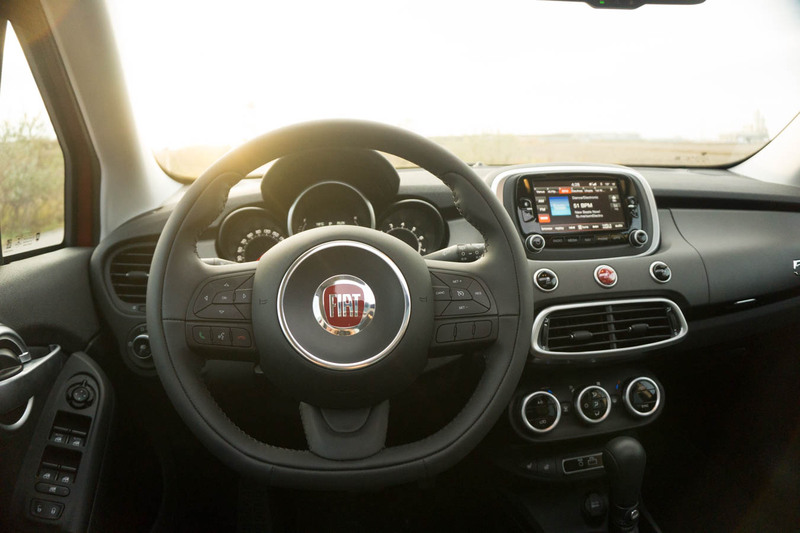 Going into my test week with the 500X, I did not know what to expect as it rides on an all-new chassis that’s only shared with the new Jeep Renegade —a vehicle I have yet to drive. With no expectations whatsoever, I hopped into the bright ‘Rosso Passione’ (Red Hypnotique) 500X and set off on my test week. 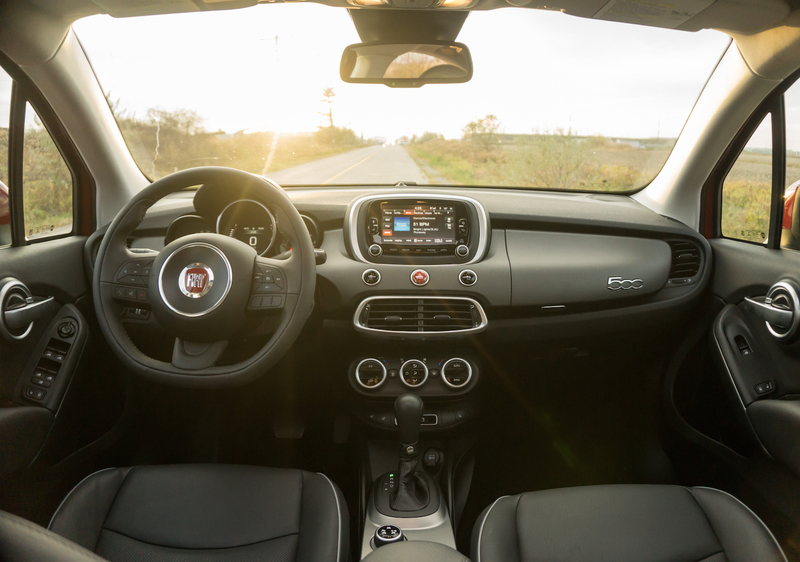 This 500X presents many firsts for Fiat Chrysler Automobiles (FCA) in more than a few ways. 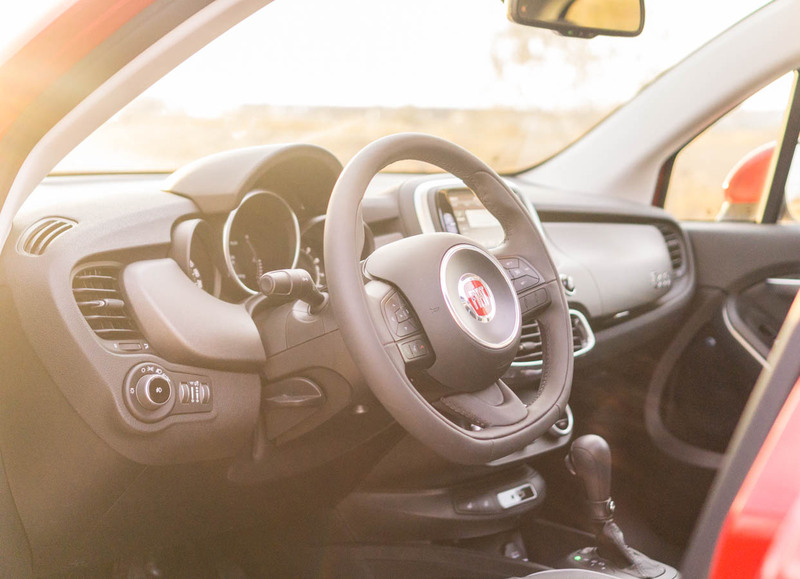 Not only is it the first Fiat with all-wheel-drive and the first to be produced and marketed as a worldwide product, but it’s also the very first Fiat to offer a nine-speed automatic transmission. It’s been sourced from ZF Friedrichshafen, a well known specialist in making some of the world’s most robust and fastest shifting transmissions—ranging from applications found in a $400,000 Rolls-Royce Phantom to a $24,000 Ram 1500. 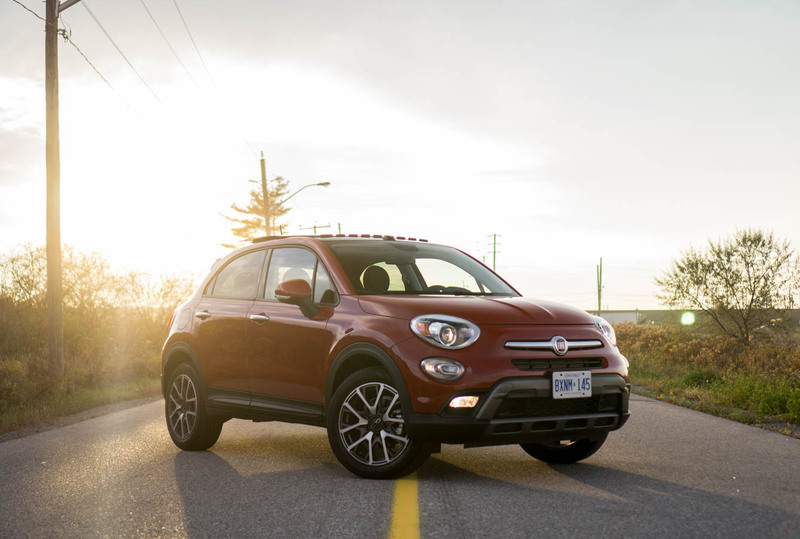 The 500X comes in many trim levels that include two different engines and two transmission options. Standard is a 1.4-litre MultiAir turbo 4-pot that produces 160 hp and 184 lb-ft. of torque and is exclusively mated to a six-speed manual gearbox and is front-wheel-drive. The second drivetrain option is the well known 2.4-litre Tigershark MultiAir 2 naturally aspirated 4 cylinder that is offered on the higher trim models including the Trekking Plus, and pumps out a respectable 180 horses and 175 lb-ft. of torque that can only be paired to the nine speed unit with your choice of either front or all-wheel drive. My test model was the top trim Trekking Plus AWD model and included all the bells and whistles, pumping up the as-tested price to a very hefty $37,720—but more on that later. 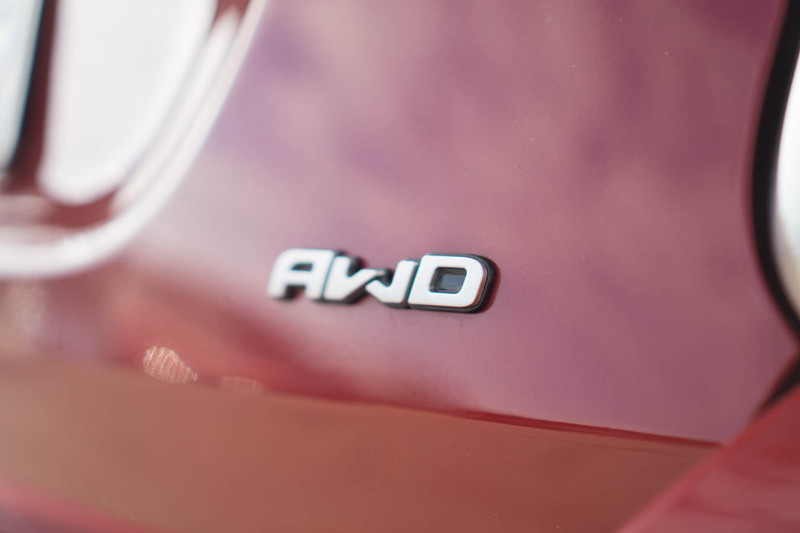 While Fiat does call it an AWD system, this does not mean that all of the wheels are being powered all the time. 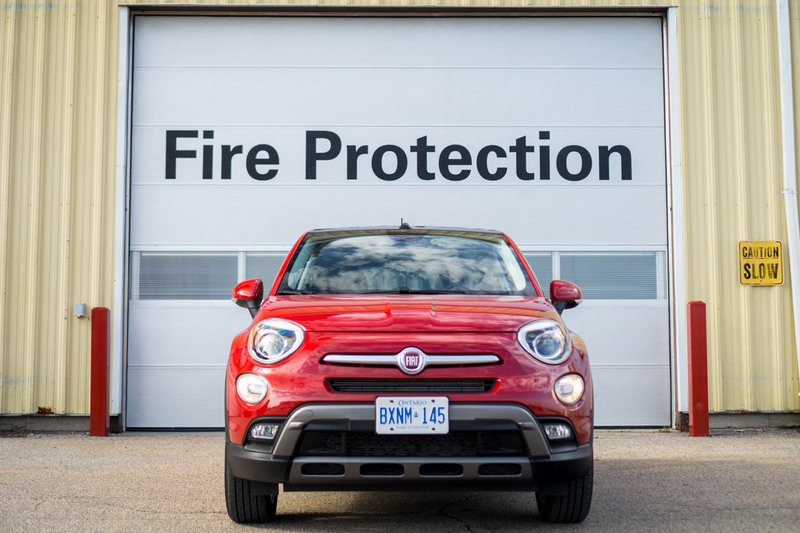 The Fiat 500X has a disconnecting rear axle that allows it to perform in a front-drive capacity in order to improve fuel economy. Once you need the rear-wheels to come into play, a quick shift of the Dynamic Selector on the centre console to the Traction Plus drive mode will direct torque up to 50 percent in the rear depending on the conditions. Unlike the 500X’s Jeep sibling, the Renegade, you cannot have all four-wheels giving power all the time. 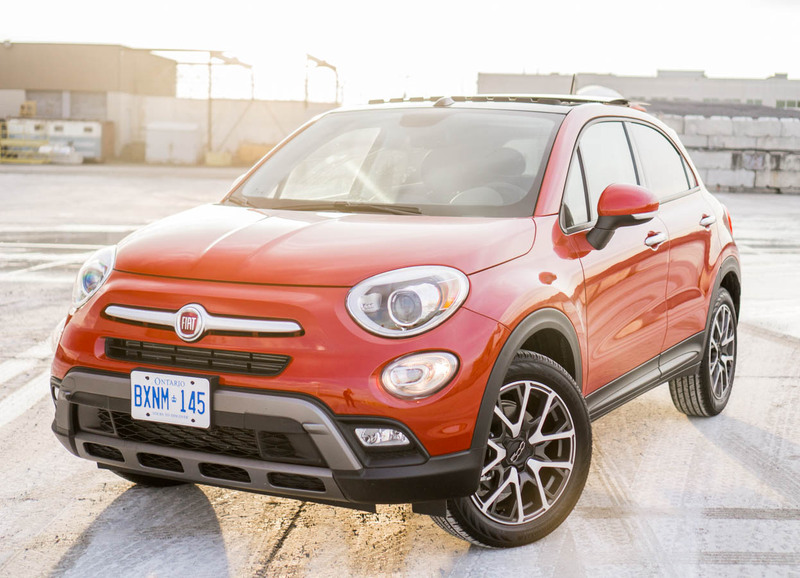 This is unfortunate because although the 500X is based on the same chassis as the Renegade, it is clearly the far-less capable one when it comes to off-roading. 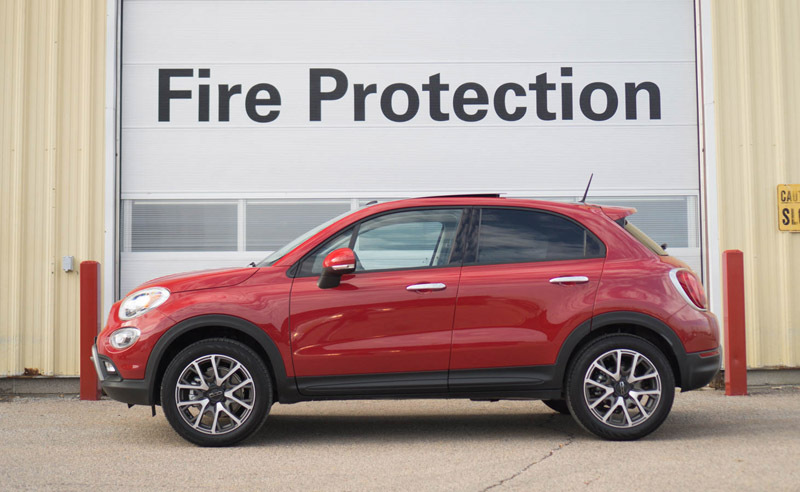 Since this Fiat is a 2016 model, the 500X is packed with technology and connectivity options: a 6.5-inch high resolution touchscreen with navigation, bluetooth audio, parking sensors, a back up camera, keyless entry with push button ignition, and heated front seats and steering wheel. 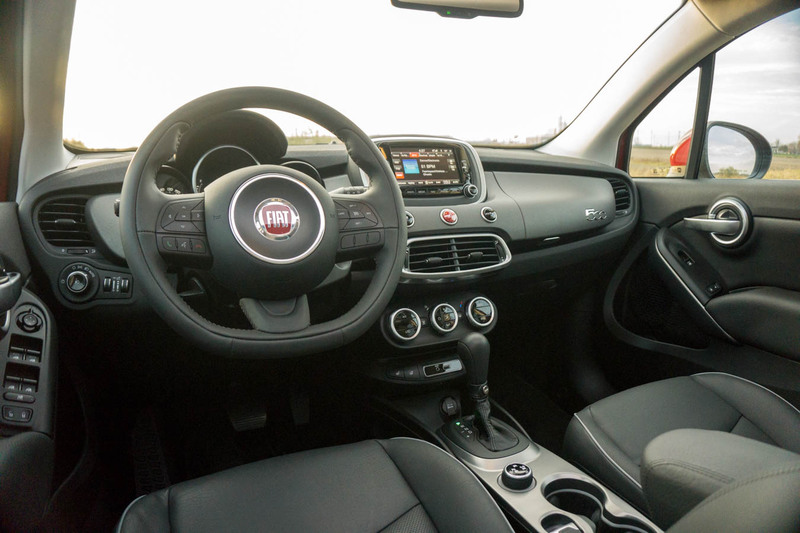 The inside of this Italiano small SUV is actually a nice place to be. Leather covered surfaces are abundant, with perhaps the best feeling padded door armrest I have ever felt on a car that is sub-$40,000. The steering wheel was also a huge plus for me. The thickness made for good grip and the flat-bottomed design gave my legs some extra room. One downside to this steering wheel though are the spokes at 3 o’clock and 9 o’clock. 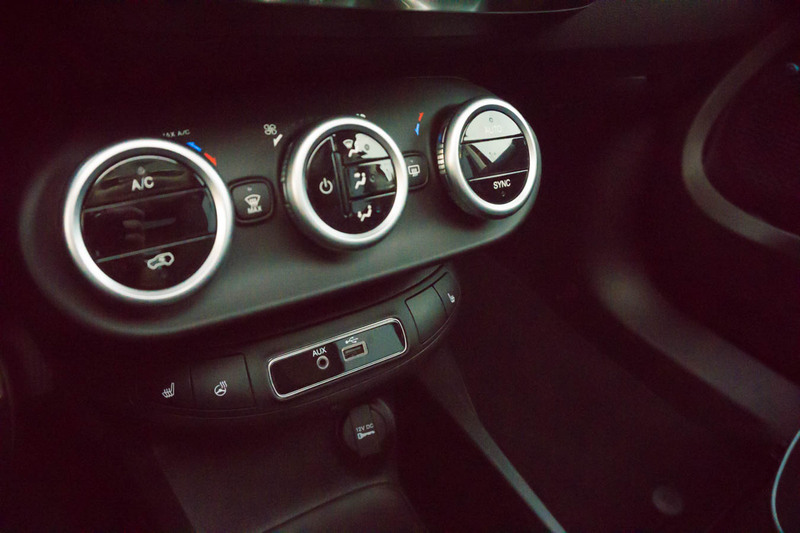 These are far too wide and I found myself straining my thumbs when trying to change the radio settings or initiate the cruise control. 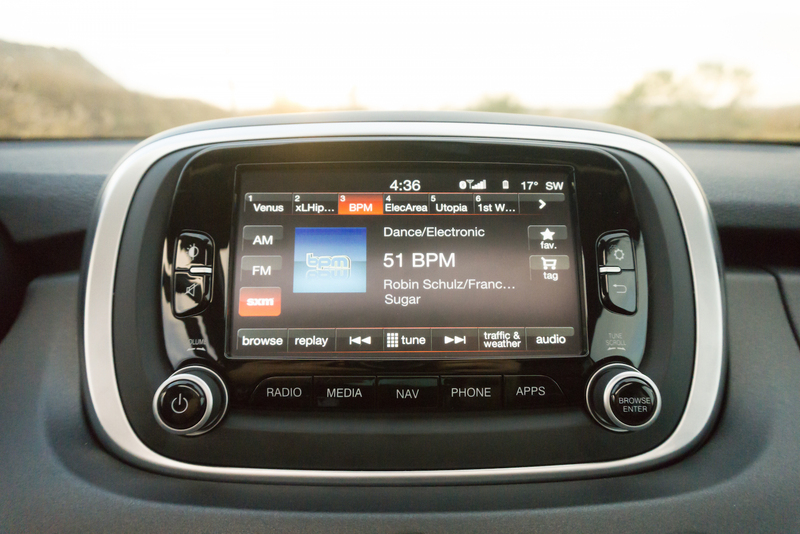 The $500 BeatsAudio sound system in the 500X was great to listen to, but I found the bass to be very overpowering when I was not listening to bass heavy songs—even with the adjustment slider was placed halfway. But when you do want to hear a song with heavy bass, the system delivered and did not muffle any of the mids or highs. For the money, I would definitely tick this option. 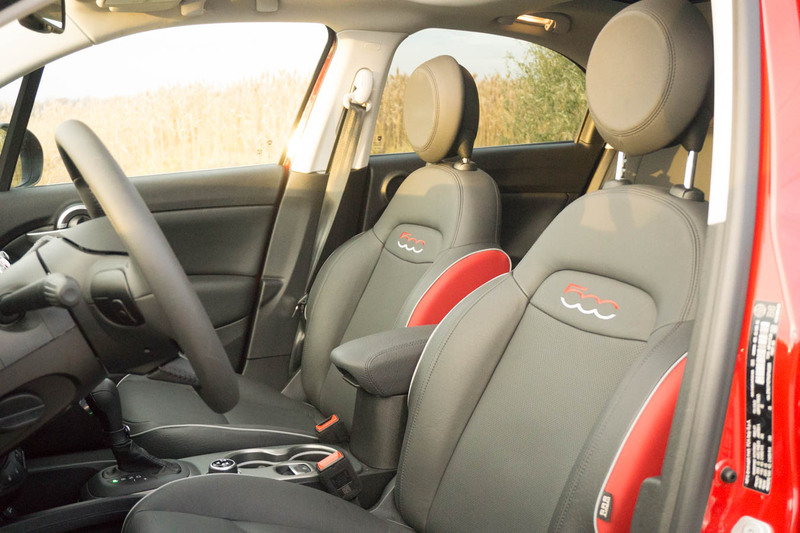 Exterior wise, the Trekking Plus is the most ‘rugged’ looking trim compared to its lower trim friends. The off-road-capable looking front and rear end sets the Trekking Plus apart, and while it does give this soft SUV some added character, it won’t steal any customers away from the Renegade’s off-road focused appeal. 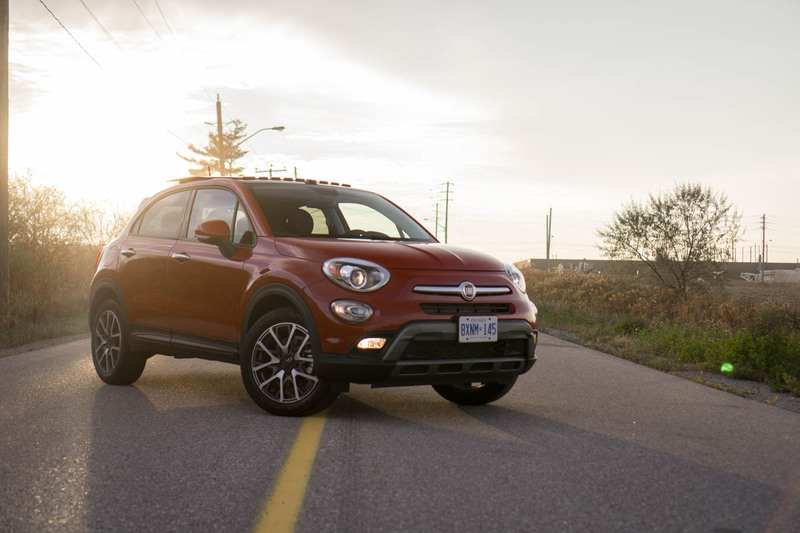 Be that as it may, the 500X would definitely be able to go down a small dirt lane or ditch and be able to make it out just fine on the other side. 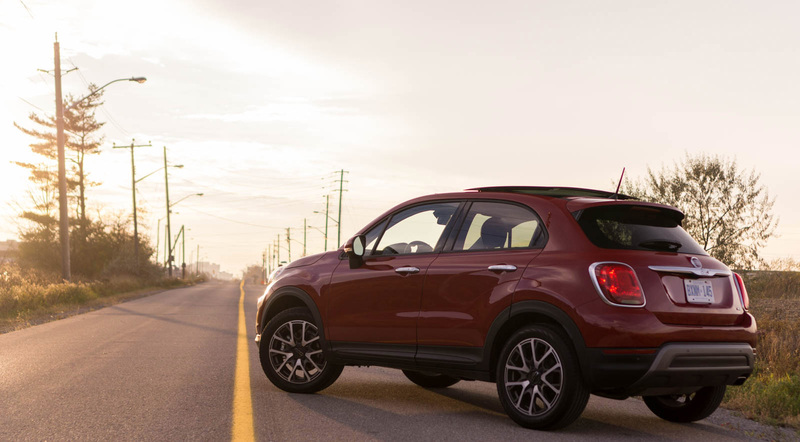 Driving the 500X has its ups and downs. The potential is there and Fiat has mastered a foundation that can easily be improved upon for future generations. For starters, the nine-speed gearbox, while very smooth and accurate at times, does have some jerkiness when travelling at lower speeds, particularly the shift from second to third. I also found that it is a challenge to get the 500X to go into ninth gear. Only when driving at a rate above the highway speed limit would we finally hit it. I found this frustrating as I wanted to be in the highest possible gear while on the highway in order to average the best fuel economy. Interestingly enough, a quick shift over to the manual shifting mode and I was able to access ninth gear without any fuss. It’s a minor gripe but I also think this car needs a touch more power. If Fiat can find a way to squeeze more output from the Tigershark motor, or perhaps strap a turbo on it, I would feel more satisfied in my purchase. For a few grand more than the price of this mini SUV, there are options out there that will give me about 100 horsepower more. 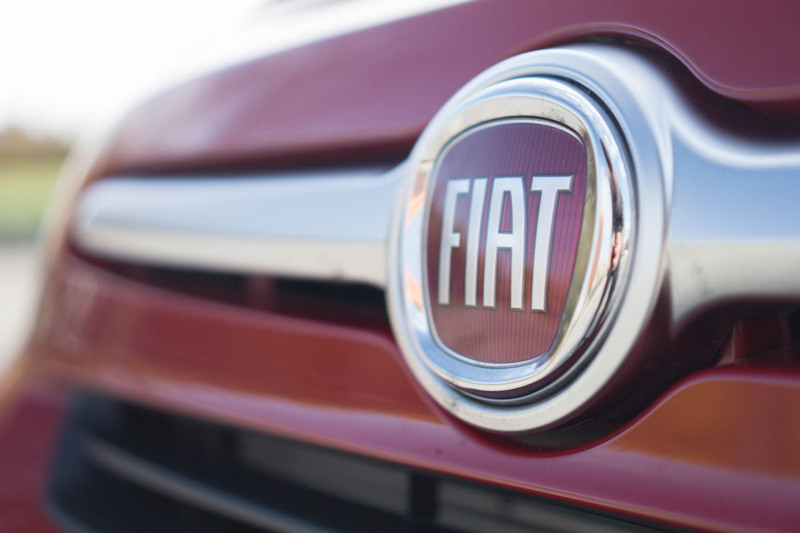 If Fiat wants to play ball in this price range, the performance also needs to stay competitive. Over my week of testing, I averaged 10.9 L/100km on 87-octane fuel. It’s a little over the rated 9.6 L/100km average listed on the sticker. I can attribute that figure to perhaps spending too much time in the Sport Mode setting. Could you blame me? It gives the 500x much more punch off the line. I believe this Fiat 500X is a great move towards bringing new customers into the Fiat brand, but with the Renegade in existence its hard to say whether or not this 500X will be able to stand out from its Jeep cousin. 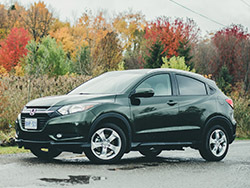 Here in Canada, when it snows five months a year, having to pass up the ability to have a full-time AWD system could be a tipping point for a customer deciding between the two compact SUVs. But there’s little to deter the 500X from succeeding. The formula and foundation is there, it just needs some fine-tuning. Perhaps X Ambassadors should start finding a way of putting the 500X name into their next hit song.